Men's Knit Lounge Pants Wool Blend Oatmeal - Choose Size Brand: Rocawear Country/Region of Manuf..
Men's Long Sleeve Knit Zipper Front Sweater Sean John LG Condition Notes: Store Shelf Pull; New ..
Men's Plaid Flannel Shirt Navy Airlift Lrg Wovens - 2XL Condition: New with tags Shelf Pull - ..
Men's Plaid Flannel Shirt Navy Airlift Lrg Wovens - SMALL Condition: New with tags Shelf Pull - ..
Men's Rycore Basketball Shoes Green 11.5(Click photos to enlarge. 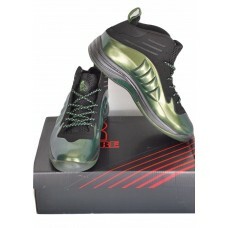 )Size 11.5HammerheadMetallic GreenC.. Condition Notes: New Overstock; never placed on shelf. Box has shelf wear.New with box. Men's siz..
Men's Triumph Motorcycles Nepal T-Shirt - Red - XXL Condition: New Brand: Triumph Style Nam..
Men's Triumph Thunderbird T-Shirt - BlueMen's original custom apparel t-shirt by UHL Wear inspired b.. Condition Notes: New Overstock; never placed on shelf. Box has shelf wear.Size 8.5M. U.S. Polo As..
Mens Belted Cargo Shorts - Brown - 28 Waist - 11.5" Inseam Waist Size: 28" Inseam: 11.5" Br..
Mens Belted Cargo Shorts - Khaki - Marx & Dutch - 34 Waist Waist Size: 34" Brand: Marx & D..
Mens Calvin Klein Black Moto Jacket (2XL) Condition: Shelf Pull; New with Tags Color: Black Siz..
Mens Crew Neck Sweater Pullover Gray Large Condition: Shelf Pull, new with tags. (Tags may be ..
Mens Crew Neck Sweater Pullover Gray Medium Condition: Shelf Pull, new with tags. (Tags may be..